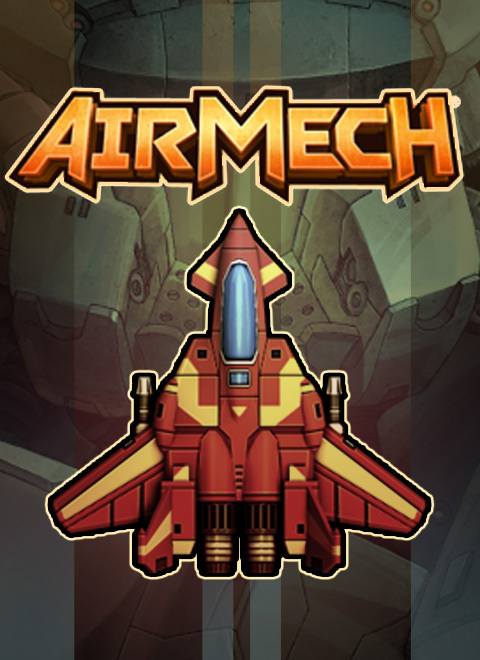 AirMech combines shooting, strategy, even “tower defense” to create an all-new class of game! Currently in closed alpha testing. The Indie Royale game bundle site returns with the Graduation Bundle, offering five fantastic independent games available at a bargain, fluctuating price - including cult Russian first-person classic The Void, an exclusive PC debut for 8-bit zombie shooter Dead Pixels, and multiple copies of multiplayer murder mystery The Ship. Plus you get early Steam Beta access to hot F2P action-RTS AirMech with an Indie Royale-exclusive in-game item code! Headlining the bundle is Ice Pick Lodge's cult classic action-adventureThe Void, available for Windows on Steam, Desura, and DRM-free. In this beautifully art-directed first-person game from the Russian creators of Pathologic, you must guide your lost soul through the Void, a space trapped between life and death. Use color as your health and ammo as you discover the dark secrets hidden by the beautiful Sisters and monstrous Brothers. PC Gamer UK called The Void, "An astounding world, and a flagship for the imagination and capability of independent game developers." Clash with golems, bloodthirsty predators and other spawn of the Void as you fight for your lost soul. Next up is CSR Studios' retro zombie side-scrolling shooter Dead Pixels, available for the first time ever on Windows for Desura and DRM-free. In this conversion of the hit 8-bit style Xbox Live Indie Games title, a toxic waste spill has found its way into the water supply and the dead have risen from their graves. Take on waves of zombies as you make your way to salvation before it's too late. The city is never the same twice, so there's always something hiding around the corner! Featuring 22 types of zombies to blast, upgradable weapons and items, and all the free additions from the XBLIG version, such as the "Last Stand" and "The Solution" game modes, it's time to get your boomstick ready. Also featured is Outerlight's first-person, multiplayer-centric nautical action game The Ship (now owned by Blazing Griffin), available for Windows on Steam only, and with each copy coming with two extra Steam keys to send to your friends! (Those copies each have one extra gift activation too!) Set in a 1920s cruise ship, players must murder their assigned target while at the same time avoiding the player hunting them. Be careful not to be spotted murdering your victim, or it's off to jail. Use all the weapons at your disposal, including crowbars, swords, flare guns, and many more. Featuring a unique bonus single-player story and an addictive online mode, Source Engine title The Ship is unlike any other first-person experience. 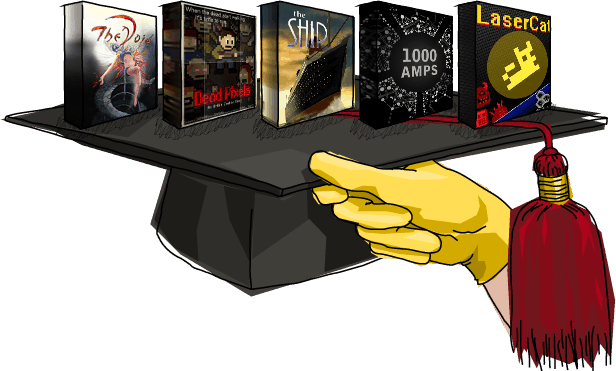 The bundle also includes The Odd Man Out's illuminating puzzle platformer 1000 Amps, available for Windows and Mac on Steam, Desura and DRM-Free. As Plug, you are charged with restoring the expansive Amp-Tree-System. You light up whatever you touch, and Rock Paper Shotgun says of the game, "It’s witty in its minimalist design, its use of sound cues is exemplary, the jumping is pixel perfect, and the ability to put a smile on my face with every single completed room is a joyous thing." Solve puzzles and teleport to new areas to bring light to the whole world! Rounding out the bundle is Monster Jail Games' eccentric Metroidvania-ish 8-bit platformer LaserCat, available for Windows on Desura and DRM-free. Explore the castle of the evil Wizzord, as you search for the keys littered throughout the world. Featuring wacky trivia questions and a little cat ghost left behind every time you die, LaserCat has an uncommonly good sense of humor, with cues taken from games old (Jet Set Willy) and new (VVVVVV). Update - Bonus Game Unlocked! As if one bonus game wasn't enough, here's another one: Stolen Couch Games' entertaining puzzler Ichi, which is available for PC and Mac on Desura and DRM-Free. What started out as a challenge for Jay van Hutten to develop a puzzle game evolved into a seemingly simple one-button game that has 50 brain-twisting puzzles that require everything from teleporting to breaking blocks. Plus it has a level editor that can be used to create levels and share them across the globe. Finally, those who pay $7 USD or their currency equivalent during the Graduation Bundle get Cheap Dinosaurs' self-titled album in .FLAC and HQ .MP3 - the long-awaited first official release from the chiptune prog rockers, and normally a $6 value on its own. More information on the Graduation Bundle, including real-time statistics and its current price, is available at its official website or via its Facebook and Twitter pages. And a final reminder - the more buyers, the more the price will increase, unless kind buyers drop the price for everyone else, so hop on and buy soon to avoid disappointment! When I start up the game it says 'Failed to connect to carbongames.com to get version information' and I have a internet connection and everything. I'd assume that it's a desura issue. Use the steam version. Is the paid version of this game playable offline? My virus scanner deletes some of the files of the game while it is loading its "Awesomeness" and then the game turns off. Desura has a very old version of the game. It's not run very often, and some AV programs just freak out at anything that patches itself. I suggest to uninstall whatever AV that is complaining and use Microsoft Security Essentials, it's what I use. You can also get AirMech for free on Steam and avoid this problem. Just search for it over there. Why go to someones website and say there games are out of date? wen you can just make a youtube vid. ? P.S. pleas dont reply to this. This game is EPIC! and its F2P, which makes it even more epic :P.. I recommend it to all of you guys that like Strategy games :).. Here is the PlayDB Video, for those that want to check it before downloading. I already play this game on Steam for 2 months and its great. The multiplayer is really fun and very competitive. There are some elements from LoL/Dota but its still extremely different gameplay (and way better). This game is certainly a unique one. I don't remember the last time I was able to be a TRANSFORMING MECH COMMANDER PERSON thing in an RTS! Actually, I don't think I ever have! I gotta say it's pretty cool, and it's only in alpha! We've moved! Our new name is simply @AirMech on Twitter! Follow us there for all things AirMech!